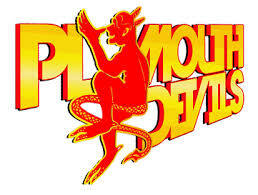 PLYMOUTH Devils have the chance to complete a quick-fire double over championship-chasing Somerset following their 52-38 Premier League win at the Oaktree Arena on Friday evening. It was Somerset’s first home defeat in eight home league matches and took the Devils to within eight points of a top six place. Plymouth will be looking for more of the same in the return match at the St Boniface Arena on Saturday evening (7.15pm). The Devils were always in command after taking a 14-point lead in the first four heats and finished with double figure scores from Morten Risager (11+2) and Jack Holder (10) with top support from Ryan Fisher (9+1) and skipper Kyle Newman (9). Plymouth co-promoter David Short said: “Somerset are a highly capable team who are more than able to get an away win anywhere, and did so in the Knout-Out Cup at Plymouth a few weeks ago. Somerset: Brady Kurtz 10 (5 rides), Leigh Lanham 5+1 (5), rider replacement for Charles Wright, Richie Worrall 6+2 (5), Josh Grajczonek 8+2 (5). Reserves: Paul Starke 7+3 (7), Ollie Greenwood 2 (3). Plymouth: Ryan Fisher 9+1 (4), Morten Risager 11+2 (5), Jack Holder 10 (5), Todd Kurtz 8 (4), Kyle Newman 9 (4). Reserves: Sam Simota 5+1 (5), Ellis Perks 0 (3).